Building a 100% transparent charity, using photos. India's future depends on its food crisis today. Unless children are fed, they will not go to school & they will not build their future. Their future, is our future. While many charities work on this, a donor doesn't 'see' the impact he's had & therefore they don't donate as much. We need a product where people can donate easily & immediately 'see' the impact that they've had. Feedsomeone is that product. 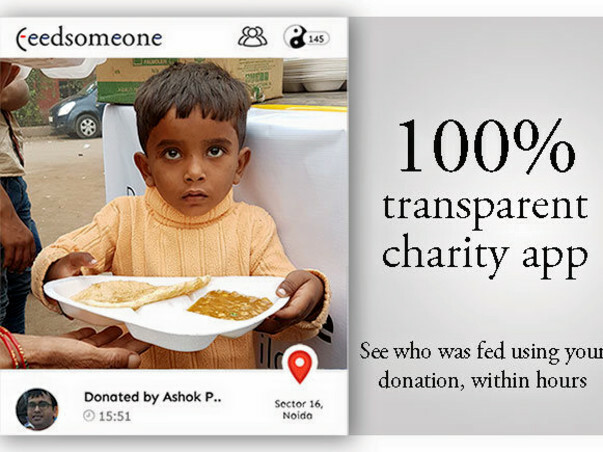 Feedsomeone is a mobile first, 100% transparent charity. 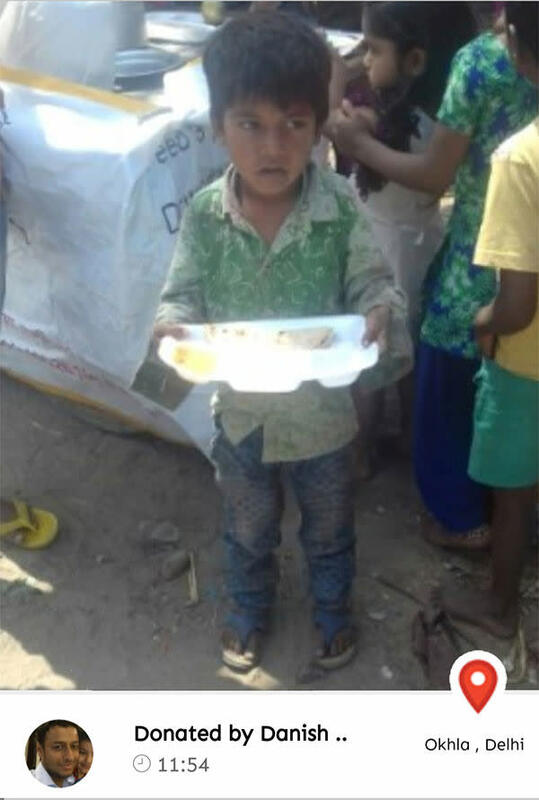 When you donate , we will feed a child & send his/her photo to you via email or notification. All this, within hours. You can see who was fed, what, where & when. When people get these photos, they donate again on a regular basis, and also share these photos with others to inspire them. If we can connect 22 crore smartphone users to 20 crore hungry people, we can solve India's hunger problem. Thats our million. 1 million meals per day. Also, because we use facial recognition, geo-tagging & other technologies, our administration costs are extremely low, unlike traditional charities. Feedsomeone's app is already live on android & ios. You can download it from www.feedsomeone.in to see the experience. However, we need more investment on the technology to make it scalable & shareable. To ensure zero fraud, we take multiple measures. 1) Food is distributed through associated schools & our own 'Feedcarts', which are stationed at the slums, & clearly mention that food is free 2) We use facial recognition & geo-tagging to ensure that the same child is not photographed multiple times, or that photos are not taken at any other place. Social entrepreneur. 30 years experience. ex Vice President, Bharti Airtel. Kuldeep has been at the forefront of CSR and emergency ops since the last 20 years. He has extensive experience in audits, control & delivery.